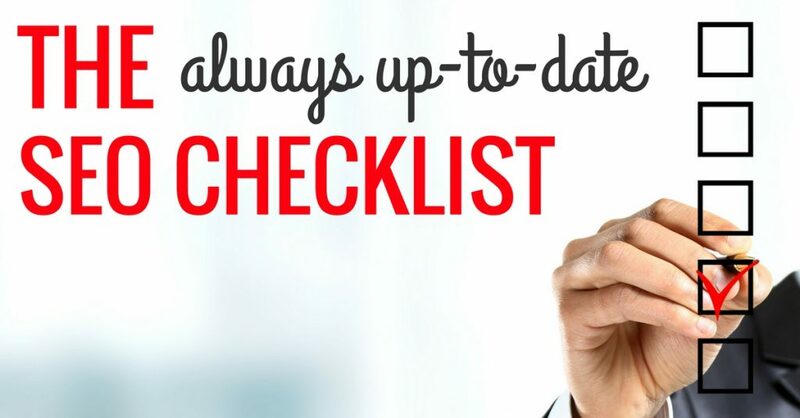 The Always Up-to-Date SEO Checklist was originally published on BruceClay.com, home of expert search engine optimization tips. Search engine optimization (SEO) is an evolving discipline that’s rooted in both best practices and trending strategies. So we have to keep updating this SEO checklist — and occasionally rewrite it entirely, as I’ve done today. One checklist can’t uncover everything an individual business should do when it comes to SEO and its website. But it’s very helpful to use alongside your SEO tools to ensure you’re covering the basics of a tactical SEO roadmap. I hope you’ll find it to be a helpful reminder of the many items to check during your SEO projects. Many of us already knew by the time Google confirmed it: Content is one of the top three ranking signals (out of hundreds). If you do nothing else, your content strategy is an essential part of your online success. This is a biggie: Know your target audience, the questions they have, and their pain points. Knowing what questions they ask and what types of queries they might ask Google helps inform your keyword research. Understanding searcher intent is an important step in crafting content. Answering typical questions your target audience might have also helps your page be found for voice search queries. Keyword research needs to be an ongoing process. It starts by identifying a focus phrase or two for the topic you want to write about (using your preferred tools — there are dozens of good ones out there). When you have a keyword phrase in mind for a page or a section of your site, check it in Google search. View the top results, the “People also ask” questions, and the rest of the search engine results page. This SERP provides your best clues to what is actually the searcher intent for this query. Make sure your content fulfills what searchers want when looking for this keyword, or look for a more appropriate keyword phrase. I could write volumes about this topic; just know that keyword research is part of any solid SEO checklist. Our SEO Tutorial will get you started and includes a free version of the SEOToolSet Keyword Suggestion Tool. The amount of content you need on a webpage varies by topic, keyword, competition and the intent of the query (read about the three types of search queries to the right). Averaging the top competitors gives you a ballpark for what a search engine probably considers the normal word count for that topic. It’s safe to say that informational webpages almost always warrant more text, at least 450 words. Quality content is key. Google’s Panda algorithm detects low-quality content and demotes its rankings. So avoid thin content and focus on robust coverage of your website topics that proves your subject matter expertise. These queries happen when a user intends to buy something now. Searching for the exact brand and model of a product, for instance, suggest the intention to buy. These are research-oriented queries. Sometimes research is done in advance of a future transaction. For example, a search for “best electric toothbrushes” indicates that the searcher will probably purchase one in the near future. Navigational queries help a searcher get somewhere, whether online or in the physical world. Searching for the name of a restaurant, for example, will get the user to that restaurant’s website, phone number, or physical address. For each of your pages, ask yourself what the user would need/want to do from here. Then make it easy to do! Your key pages should make it clear what primary action a visitor can take next. On a product page, the CTA to “add to cart” or “start a free trial” should be prominent. On a service page, the CTA might be “call” or “get a quote.” Make the CTA clear and easy to select. On the homepage, help the visitor to take the next step in your conversion funnel. The actual language of a CTA should be active (usually an imperative verb). The placement and design of the CTA should draw the visitor’s attention. But test variations to see what works best for you. A page doesn’t have to be transactional in nature to warrant a call to action. If an informational page is a top-performing traffic driver, such as a blog post that answers a common question or an FAQ page, the call to action might encourage the visitor to “find out more” or enter the conversion funnel. Make sure to periodically review your content (webpages and blog posts) to make sure that the information is up to date. For example, this very checklist is regularly refreshed. SEO best practices have to evolve as search engine guidelines and technology do. If your industry also moves quickly, your content needs to keep up. What’s on your site that needs a refresh? Update it! Your homepage acts as a central hub to pass authority to top pages on your site through internal links. It’s probably also where people land most often when they search for your brand or main products/services. It’s important to have static text that talks about your brand and top theme(s) on the homepage. If you have a homepage with content that constantly changes, such as nothing but headlines, it can dilute the theme of your site. This results in poor rankings for key terms. So try to maintain sections of consistent text on the homepage. Do a search to see if your content exists elsewhere on the web. You may want to check out CopyScape.com and use it regularly. If your site appears to have copied content from another source, that’s a low-quality signal to search engines and may cause your site to rank lower. Similarly, if other sites have copied your content, it could be a problem from an SEO standpoint. If you have duplicate content within your site, such as three URLs with the same content, a search engine will filter out the dupes. Only one will display in results for relevant queries — and the page that Google chooses might not be the page that you want to rank. Review each important page, from the homepage to a high-priority product page, with an eye to the following issues. In general, title tags should be about 9 words (+/– 3). You want to make sure that each page’s title tag is unique and describes the most important information about your page. Include the top keyword so that it appears before the cutoff in the SERP, which for Google is approximately 70 characters including spaces. Remember, the title tag often becomes the title that searchers see in search results. Both the title and description text can influence click-throughs to your site. So craft compelling tags. You don’t want to waste your prime real estate in the SERP with boring copy. The meta description tag should also include the most important information and keywords near the beginning. If the search engine chooses to display your description text, it will include approximately 24 words or 160 characters with spaces. Keep in mind that Google reserves the right to replace your meta description text with a search snippet generated from Google, which is usually pulled from the page’s body content. A search snippet appears instead of the meta description whenever Google deems the snippet of text more relevant for a given search. The meta keywords tag is not a ranking consideration for Google, but we still advocate putting the page’s main keywords in this tag. It’s also a good location for misspellings of your key terms. The keywords tag is valid HTML code that gets indexed with the page. We’ve tested this repeatedly and found that, in cases where a specific query string does not exist elsewhere on the web, Google will search its index and find the page containing that string in its meta keywords tag. Headings allow a reader to see the main sections and points of a page. They give visual cues for how body content is organized. They also signal to search engines and readers what topics are covered on a page. As a technical point, make sure the first heading tag within the body of a page is an <h1>. The following heading tags can be <h2>, <h3>, <h4>, etc., and should be used like a page’s table of contents. Navigation elements and other global text should be styled with CSS and not heading tags (watch our Ask Us Anything video for more about this). Images greatly enhance your pages. Content needs visual elements to break up the text and keep a reader interested. Images also provide additional ranking opportunities through image searches and blended web search results. Images can slow down a page’s loading time. To reduce file size and to increase speed as much as possible, resize the files to their display size rather than uploading the original file and making the browser shrink it. Also, include width and height attributes in image tags. File names should describe the image and include a keyword. You can also optimize the caption and the text surrounding an image to reinforce what the image is about. Make sure to include an alt attribute with each image. The Americans with Disabilities Act (ADA) says that a website should always describe the image on a page for the vision impaired. Accessibility is important to Google, and having alt attributes is a primary indicator that your site is accessible. As an SEO checklist item, ensure that your images have accurate alt text that, if appropriate, includes a keyword for the page. Alt attributes are also required of validated HTML code (per W3C standards). Videos are powerful engagement objects that add multimedia interest to keep visitors on your page longer. Highly consumable content, videos give you additional SEO benefits and social sharing opportunities. Optimize your videos to be found in search. Video content provides ranking opportunities both in regular searches and in video-only search engines where they’re uploaded, especially YouTube. Like images, embedded videos can slow down the load of a page. There’s a slew of optimization best practices for YouTube, Vimeo and other video hosting sites. Read our guide on 10 video SEO tips to improve SERP rank. Structured data clarifies for the search engine what content on your page is about. Specifically, it helps the search engines understand what type of information you’re presenting. For example, you could use structured data markup to indicate an upcoming event your business is hosting, specifying its date, time, location, and other details. If Google is clear about what’s what on your site, then additional bits of information have the potential to show up in your search results. Google requires your markup to include all of the required properties for an object to be eligible for enhancements in your SERP listing. To make sure you’ve done it right, check your page or code snippet using Google’s Structured Data Testing Tool. For more on how to implement structured data on your site, check out How to Use Schema Markup to Improve Your Website Visibility in Search. Besides the schema markup we just mentioned, there are other ways you can structure data to make it more digestible for search engines. All of these structural formats can help people read your content more easily. They also encourage Google to use your content in featured snippets. Google gives more information about structured data in the search results here. Social markup, or social meta tags, refers to the code used to enhance content on Facebook, Twitter, LinkedIn or Pinterest. Content in these tags dictates what image and text will show up when someone posts a link to your content on a social network. Use dashes rather than underscores in page URLs. Underscores are alpha characters and do not separate words. Dashes (or rather, hyphens) are word separators, but should not appear too many times or it could look spammy. For more on this topic, check out this post by Google’s Matt Cutts (an oldie but a goodie). You also want URLs to be descriptive and contain keywords, without being spammy. And shorter URLs are preferable to long URLs. If you make your internal links fully qualified, there’s no question by search engine spiders, browsers, etc., as to where the file is located and what it’s about. If your link looks something like “../../pagename” (a relative link), then it may cause crawl issues for some search engines. Rather than relative URLs, use fully qualified links (beginning with http:// or https://). Note that your sitemap should always have fully qualified URLs. Externalizing these files also can speed up your page load time, which plays a role in Google’s ranking algorithm. Businesses with a local brick-and-mortar presence or local service areas have a special set of SEO factors to pay attention to. Here are a couple important steps. A Google My Business listing is free and is a critical first step for local brick-and-mortars and businesses with service areas. A Google My Business listing can enable your site to show up in Google Maps, the local pack of Google Search results, and Knowledge Graph panels for your business. A Knowledge Graph panel shows information from your Google My Business listing. There’s a lot more involved in local SEO, but claiming your listing in Google My Business and in Bing Places gets you started. Local businesses can benefit from on-page schema markup related to their business. (You can browse the available codes at schema.org). Especially important for all businesses is the NAP + W code, which designates the business’s name, address, phone number and website. Check out my list of other local search ranking factors. We’re truly living in a mobile-first world. Businesses need to ensure that their websites cater to the mobile browsing experience. This is made more important with the rollout of Google’s mobile-first index. Now, Google prioritizes the mobile version of your content when it comes to indexing and ranking. 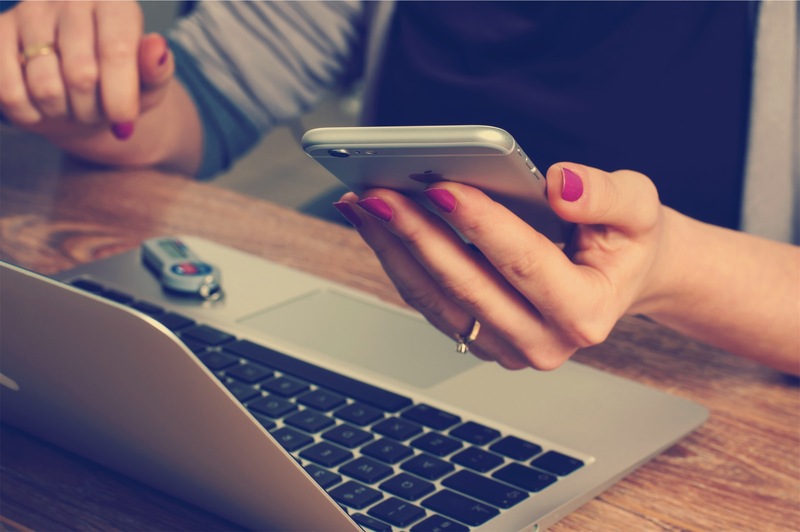 As an SEO checklist to-do, make sure you’re using a mobile-first strategy. I’ve listed a few specifics below. Search engines are invested in providing users a great mobile experience. 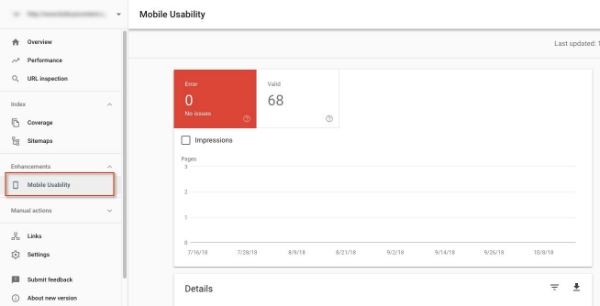 See how your site is performing on mobile devices with the Mobile Usability Report, located within Google Search Console. This report lets you know if your touch elements are too close, if your content is sized to the viewport, your Flash usage, font size and more. You can also use Fetch as Google within the Crawl section of Google Search Console (old version) to render your site the way Google sees it on different mobile devices. Lastly, you can run important URLs through Google’s Mobile-Friendly Test for developers. Similarly, Bing offers a Mobile Friendliness Test Tool. Page load speed is also a ranking factor, especially for mobile. Skip to Site Speed & Performance in this SEO checklist for the tools to check page speed. Are you coming up for relevant voice search terms like “[keyword] near me”? Check out our articles on voice search optimization and mobile SEO for guidance. Accelerated Mobile Pages, known as AMP for short, is an open source project that enables webpages to load instantly for mobile users. Since its inception, AMP has added more features to support a variety of websites including e-commerce, publishers and advertisers. Because of the visibility of Google’s AMP carousel, AMP pages may get more visibility in the mobile search results. Check out our high-level overview of AMP to investigate whether AMP might benefit your site. Google’s Quality Rating Guidelines (here’s a PDF of the most recent version) introduced the terminology E-A-T to the SEO community. A shorthand way of referring to expertise, authority and trustworthiness as the top indicators of page quality, E-A-T is now a pillar of search engine optimization. A website as a whole should signal expertise, authority and trust while conveying subject relevance and optimizing for search engine accessibility. While your basic content strategy is a big piece of this (see the Content Optimization section, above), the following items help support E-A-T.
An explicit E-A-T signal, a site’s contact information, such as a phone number and address, should be clearly visible on the site. The search engines expect that a trustworthy site will provide this. Another E-A-T signal, testimonials located on your site support your authority as a business and your value to your customer base. Testimonials are great for signaling your value to your human visitors, too! Having a privacy statement on your site is considered a trust signal for the search engines. A privacy statement lets site visitors know what you’re doing with any data you collect about them. In addition to bolstering your trust with Google and Bing, offering a privacy statement is a best practice. Privacy laws such as the EU’s General Data Protection Regulation (aka GDPR) require many sites to clarify their privacy policies, have visitors opt in to allow data collection, and more. If you have not yet researched GDPR, which went into effect in spring 2018, you should. Verify that there is text navigation within your site. You want text links, which are more SEO-friendly than, say, using images for menu items. Make sure you have text navigation at least on the bottom of the page if there aren’t any crawlable navigation links in the top menu. This is a search engine accessibility issue. Your site should have an HTML sitemap (see Google’s sitemap info). Every page should link to that sitemap, probably in the footer. You should also have an XML sitemap that you submit to search engines. If you already have sitemaps, check and update them regularly to make sure they contain the pages that are currently active on your site. You can learn how to create a sitemap for users and search engines to easily access all areas of your site in our SEO Tutorial. This section warrants way more than just a few sentences, but it should be noted as part of the SEO checklist. Your internal linking structure typically stems from your siloing strategy, which is vitally important to establishing relevance for SEO. In addition, your inbound/outbound links should be part of an organic, natural strategy in compliance with search engine guidelines. As part of site maintenance, monitor your link profile regularly. Regularly check your server looking for 404 errors, improper 301 redirects and other errors. You can use the Check Server Page Tool to monitor your web server for errors (free tool, no sign-in required). You can also use mod_rewrite or ISAPI_rewrite as appropriate to simplify URLs. Rewritten URLs will appear to be static URLs. This tends to be a lot of work, but is a surefire way to address this issue. You can also use the canonical tag to tell search engines which page is intended to be indexed as the canonical version. Make sure your SEO strategy is following Google Webmaster Guidelines and Bing Webmaster Guidelines. If ever in doubt about any of your tactics, you can also refer to what Google recommends for SEO. What’s an SEO without their tools to surface data that leads to analysis? Just remember, there’s a difference between data and wisdom. SEO tools can help you discover what’s going on with your site, but plotting an action plan requires an understanding of SEO. 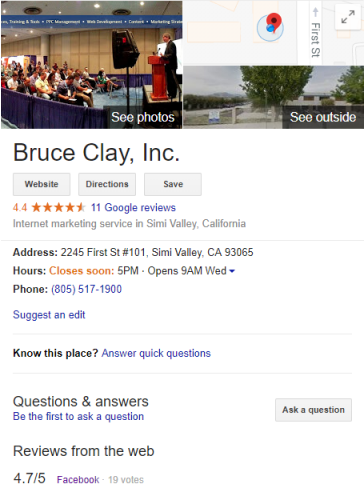 Bruce Clay’s SEO team can help you strategize effectively. If you want expert assistance, ask us for a free quote! No question — analytics data is important for SEO. Ensure your analytics are properly set up and monitor them regularly to find out if the keywords generating traffic are in your keyword list, and if your site is optimized for them. A ranking monitor (such as the one in our SEOToolSet) is also useful to track SEO changes across search engines. Our SEO Tutorial unpacks the role of analytics in the step How to Monitor Your SEO Progress. Webmaster tools accounts for Google and Bing give site owners insight into how search engines view their sites. These free tools collect data and provide essential reports on issues like what search queries bring traffic to your site, crawl errors you need to fix, and penalty notifications. If you haven’t already, set up Google Search Console for your site. Install Google Analytics, as well. For help setting up a Bing Webmaster Tools account, view the Bing Webmaster Help & How-To Getting Started Checklist. If a manual penalty has been levied against you, Google will report it to you within Google Search Console. Check the Manual Actions Report and the Search Console message center. Read more about dealing with manual penalty actions. You can also find out if you’ve suffered a penalty from Bing. Review the Index Summary chart with the dashboard of Bing Webmaster Tools. If the number of pages for a given site is set at zero, you have been hit with a penalty. If your site is running Google Analytics, use the Panguin Tool to check your traffic levels against known algorithmic updates. If you see any drops or rises in search referrer traffic at a time that coincide with Penguin, Panda and other known algorithm updates, you may be affected by a penalty. Read more about penalty assessment and recovery. Google is changing its algorithm all the time. Recently, RankBrain and machine learning — powered by artificial intelligence technology — is changing the search results. While optimization for AI is not as straightforward as checking for traffic drops, familiarize yourself with the real impact of RankBrain and my recent post on preparing for the near future of SEO. 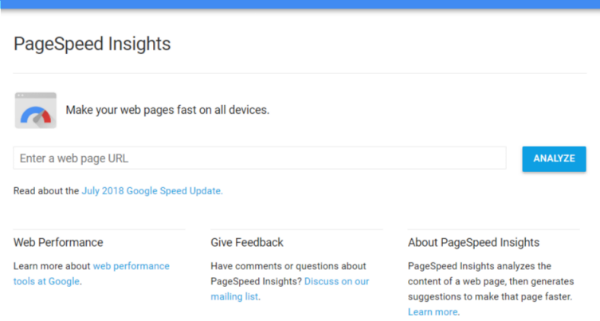 Check PageSpeed Insights in Google Search Console or use tools like GTmetrix.com to analyze and improve a website’s performance on desktop and mobile devices. For more on improving page speed, read our Page Speed Issues Overview for SEO. Want more SEO tips? Our online SEO Tutorial teaches you search engine optimization step-by-step, and it’s free!